Emirates Palace has announced Martin Cramer has been appointed as the hotel’s new general manager. With a distinguished career in hospitality spanning over 30 years, Cramer brings a wealth of experience to Abu Dhabi’s iconic property. “Emirates Palace is a jewel among hotels, a symbol of exemplary luxury and hospitality excellence around the world,” Cramer said following appointment. Cramer is a German national who is fluent in English, Spanish and Portuguese in addition to his mother tongue. He holds a diploma in hotel and tourism administration from the Industrie & Handelskammer Frankfurt am Main, Germany. 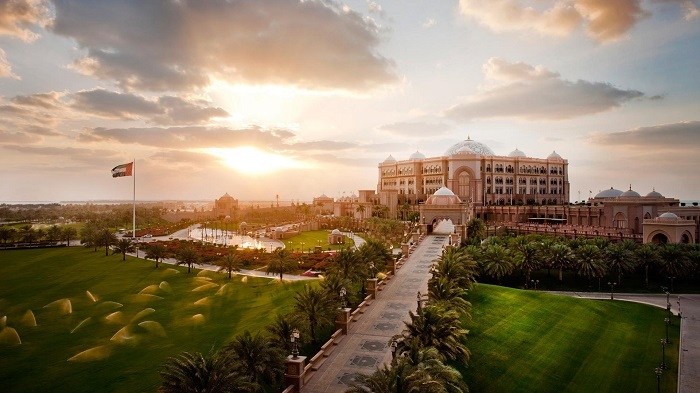 Emirates Palace, the iconic five-star hotel in the heart of Abu Dhabi, is recognised for exceeding guests’ expectations and its consistently outstanding guest reviews. The property is considered the World’s Leading Luxury Beach Resort by the World Travel Awards. Emirates Palace Spa features an array of superb spa escapes like the signature 24 Carat Gold Radiance Facial, and partners with exclusive brands, such as Forlle’d, Amra, Gentlemen’s Tonic and Bastien Gonzales. The location is considered the Middle East’s Best Hotel Spa by the World Spa Awards. The hotel is managed by Kempinski Hotels. Created in 1897, the company is Europe’s oldest luxury hotel group. Kempinski’s rich heritage of impeccable personal service and superb hospitality is complemented by the exclusivity and individuality of its properties. Kempinski now manages a portfolio of 77 five-star hotels and residences in 32 countries and continues to add new properties in Europe, the Middle East, Africa, Asia and The Americas. Each property reflects the strength and success of the Kempinski brand without losing sight of its heritage. Each one is imbued with the quality guests have come to expect from Kempinski while embracing the cultural traditions of its location.